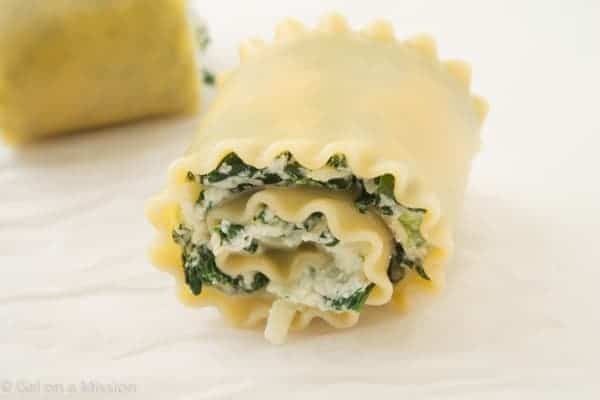 We really love comfort food, like these spinach lasanga roll-ups, during the cold, winter months! Last night and today it is really cold here, hovering right around 0 degrees Fahrenheit. Come on Spring…can you please get here sooner? We had a mild winter and then February came around and that’s another story. Brrrr. Please do not mind me while I go munch on one of these warm and savory roll-ups to warm my belly up. Yeah, these roll-ups will warm you up inside. The best feeling ever when it’s so cold. Wouldn’t you agree? 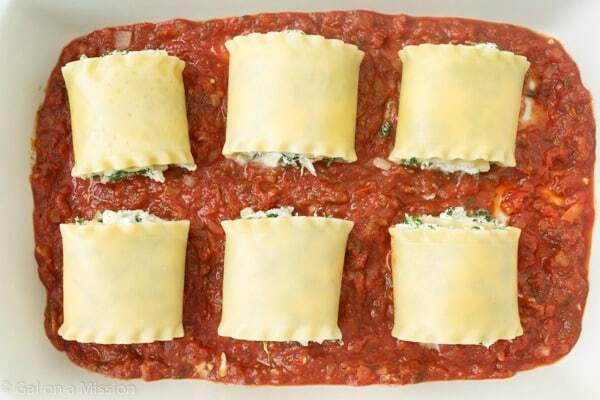 If you have never made lasagna roll-ups before, there are step-by-step photos below the recipe. Not every step is there, but it’s still easy to follow along. 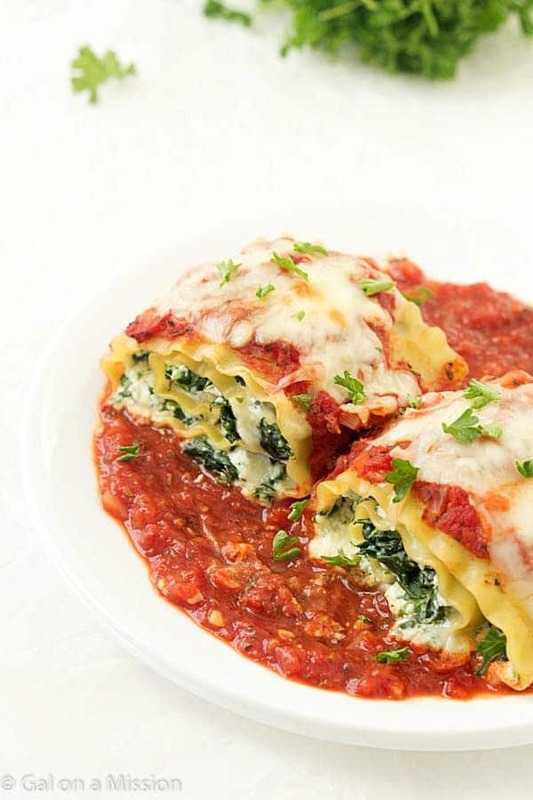 In this recipe you can use fresh or frozen spinach. If you are using frozen spinach, be sure not to get rid of all of the water in the spinach. It allows the mixture inside of the roll-ups to be moist. You will also need to make sure you are using the correct sized baking dish. You will need two. I like to use this one and it’s perfect. I used this more as a technique than a real recipe. 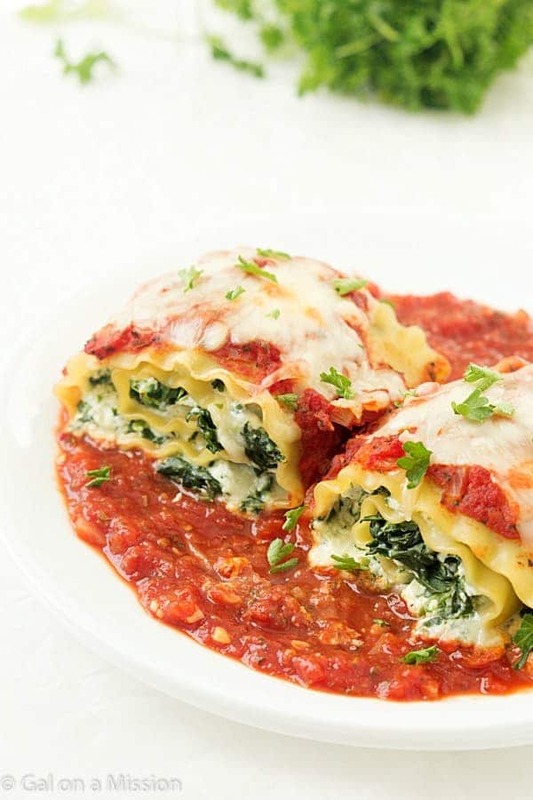 I think it takes a bit longer to make than a traditional lasagna because of the spreading of the filling and rolling of the noodles but it works well. I used my own marinara and added chopped artichoke hearts (not marinated), garlic, salt, pepper and a couple of eggs to the filling (used a 32 oz cup of ricotta). It worked well and I’d do it again. So glad you and your family enjoyed them, Nina! Oops, accidentally put the 2 and 1/2 cups of cheese in the filling ! I know I should read thru a recipe before preparing,but maybe if the ingredients are written as ” 1 1/2 and 1 cup, separated” it might stand out more to not use all the filling ingredients in the filling? Regardless, this is a great recipe! Thanks for sharing it! How we shall now suffer with a little extra cheese! I just accidentally did the same thing but I add extra cheese to everything so it doesn’t bother me! Hopefully they still turn out great, looks so good already! Are these freezable? 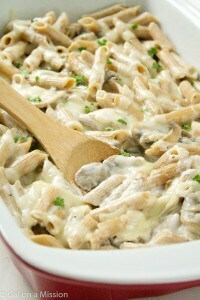 I’m making them tonight but will have extra filling and wondering if they would be able to make ahead and freeze? Thank you!! Hi Megan. I have not tried freezing them before. If you decide to freeze them, please let me know how they turned out. i make very large batches and freeze. The kids love them when they come home from school, easy to pop in the microwave and taste just as good as if they came right out of the oven! have made them and frozen them- they are fine. thawed in the fridge then cooked in the oven with the cheese and sauce. Love your recipe for these! My husband and kids definitely approve! Question: Can I use the oven ready noodles and just lay them flat instead of rolling them up? I bought the wrong noodles this time. So glad you enjoy them, Krista! Sounds fine to me! Super relish! 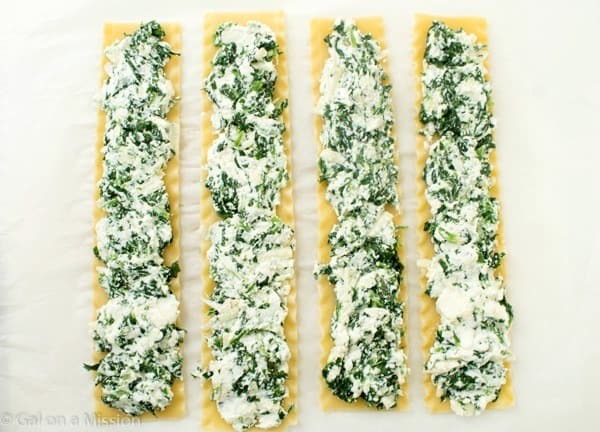 Making these for lunch today for my husband and toddler. I’m sure they are going to love it! These are so delicious and easy! My family loves them! Thanks for sharing the recipe. We make them at least once a month. Made it yesterday and it was delicious ! I’m eating the leftover right now ! 😀 Thank you ! I made these roll ups for dinner tonight. I didn’t see it included in the recipe, but I have to ask (because I don’t want to do it myself-HA!). Have you calculated the caloric/nutritional information? We thank you for the recipe; everyone in my family enjoyed them. Great recipe and perfect for vegetarians. 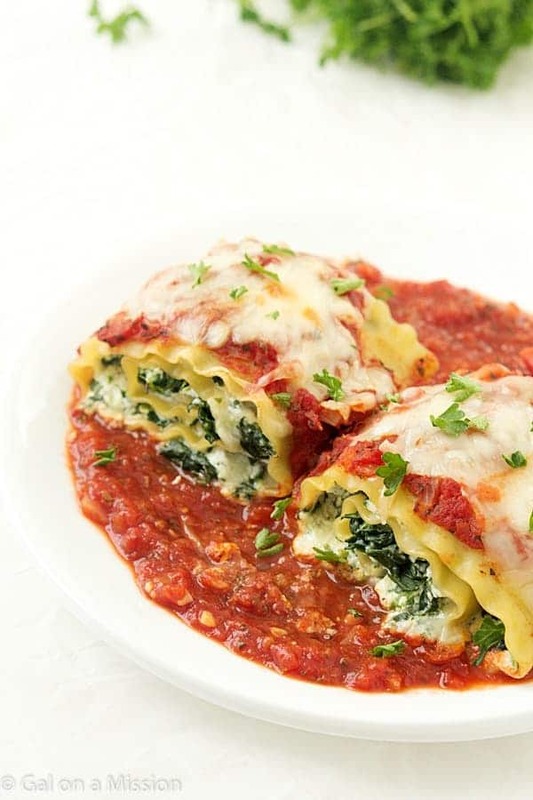 I made these for dinner tonight….they turned out really good. I’ll definitely make them again. I did have a lot of filling left over, so I’ll freeze the leftover. I followed the recipe and used a 1/4 cup of filling on e@ch noodle but perhaps the lasagna noodles I used were smaller? Very tasty and not difficult to make at all! I make basically the same, but also add a can of black olives, chopped. Made these tonight for supper and they were wonderful. It is definitely a recipe I will keep. Oh wow- these were absolutely delicious!